It is hard not to think about the tropics without mentioning the Fiji Fan Palm. The Fiji Fan Palm’s botanical name is Pritchardia pacifica and is from the islands of Fiji, of the coast of Australia. Known throughout the world for its beautiful serene settings, the Fiji islands comprise of 323 Islands which of only 107 are inhabited. These islands contain a diverse ecosystem in which the Fiji Fan palm can live and thrive. This palm tree is not cold tolerant and enjoys warm temperatures. Well draining soil is required like most palm trees. 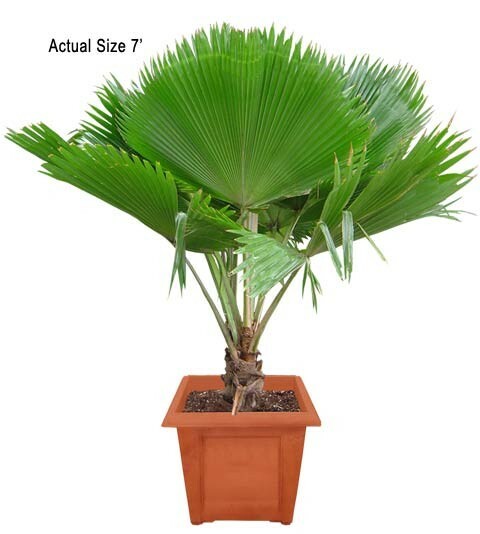 The Fiji Fan Palm is slow growing and can reach heights up to 30 ft but will take many years to do so. 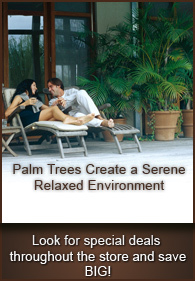 The Fiji Fan Palm is a great indoor or outdoor palm which can bring the islands of the pacific to you.